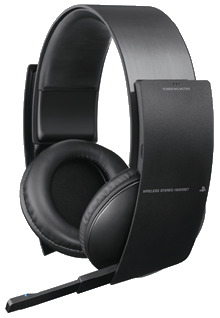 We have received what we think to be our last shipment of Sony Wireless Stereo Headset - PS3 (In stock usually ships within 24hrs) before Christmas. Experience The Ultimate Audio Advantage with the official PS3 Wireless Stereo Headset. With 7.1 digital surround sound*, you'll have the edge, hearing the enemy before they see you. Mobilize your squad using the highest quality voice chat. Extend your advantage with on-screen headset status updates**, fast-access buttons, and breathable earpads that deliver hours of comfort.